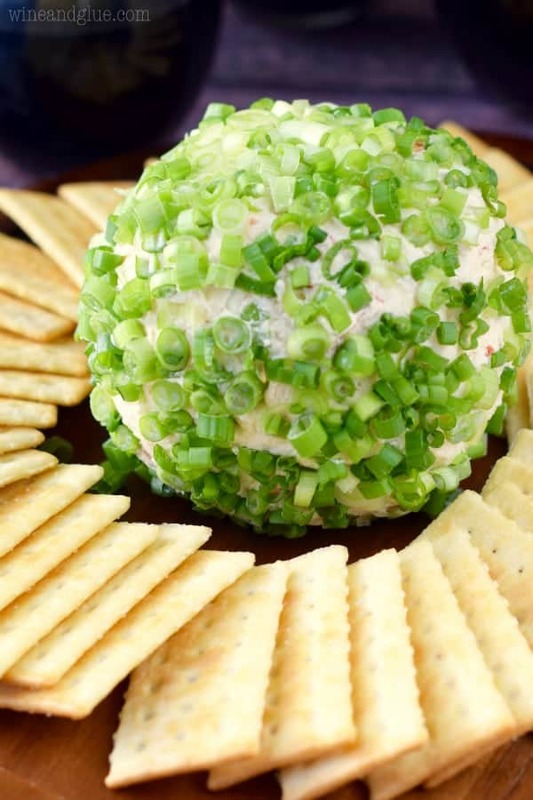 This Crab Dip Cheeseball is so easy to throw together ahead of time, and is absolutely delicious! It’s going to be the first thing gone on the appetizer table! Don’t mind me while I get super emotional and mushy with you. Is it just me or do the holidays make you cry at like everything?? That Christmas carol about the shoes for the kid’s mom . . . I don’t even like that song and it had me in tears the other day. Over the weekend we celebrated Christmas with my side of the family, and it was seriously the best. In addition to my three crazy monsters, my brothers each have two kids, and they are all really close in age. So of the oldest six kids, they all have at least one cousin who is within 8 months of them in age. It makes for some crazy fun. One of the best parts of the day for me was watching my family love on my kids. Seeing my brothers throw Quinn up in the air. Teasing her when she mixes up their names. Tickling Piper and trying to convince her that she would rather be held by them than me. Watching both my dad and Gavin get super emotional while we sang happy birthday to him. (He turned 8 yesterday!) And then watching my kids basically tackle my dad and his wife to thank them for the gifts they got. It warmed my cold cold heart. You know, Grinch growing three sizes style. In the midst of all of that, we had so much great food! My dad and brother made some traditional Italian dishes and my dad’s wife made this amazing salad. We had my Cranberry Orange Sangria and we had THIS! 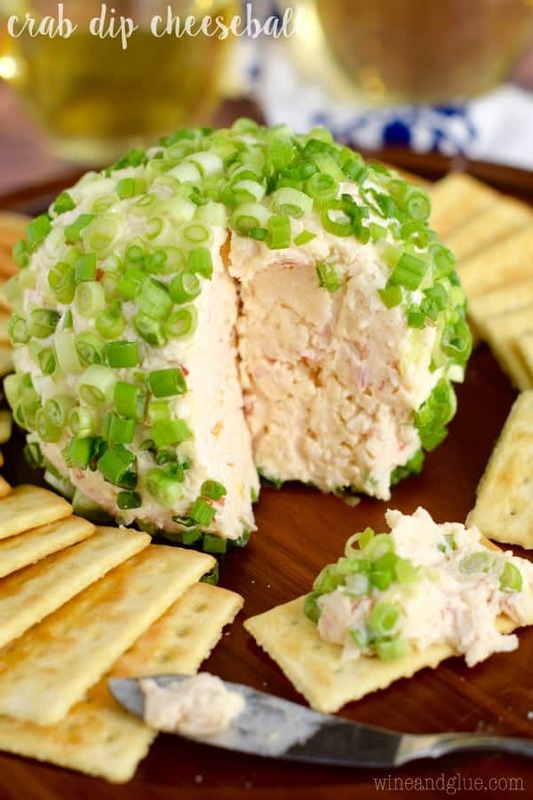 This Crab Dip Cheeseball was a big hit! It was originally going to be baked into wonton cups, but I couldn’t get the wonton cups to be as crispy as I wanted. And then I thought of my friend Trish and how she makes so many things into awesome cheeseballs. It was even her suggestion to cover it in scallions, which make it absolutely gorgeous. It all turned out way better than I could have hoped for. You definitely have to make it for your family. I can’t say for sure that it’s what made the day so perfect, but it certainly didn’t hurt. Here’s hoping your holidays with your family are just as wonderful! Using a hand mixer, mix together the cream cheese, mayonnaise, worcestershire sauce, hot sauce, garlic salt. Then mix in 1 TBSP of the diced scallions (reserving the rest), the mozzarella, and the crab. Refrigerate for at least one hour or until it is firm enough to handle. Once firm, roll into a ball and coat with the remaining scallions. Serve with crackers. Don’t worry, you’re not alone (definitely feel more emotional than usual myself)! 🙂 This crab dip cheeseball looks phenomenal – I wish I could dig into it right now! excuse my ignorance…..what is imitation crab? No worries Susan! It’s usually in the fish section and made from white fish and a little crab but tastes like crab. Google it for images so you know what to look for. Depends on how hungry people are. My family of 8 adults enjoyed almost all of it and there were a few other snacks there. You did mean “mix in 1Tbsp ‘at a time’ of scallions, mozzarella and crab” then refrigerate…….didn’t you? No, Julia, I meant mix in 1 TBSP of the scallions because you are saving the rest to roll the cheeseball in. I will update the recipe so it is more clear. I apologize for the confusion. Omg ! That looks so delicious. I’m planning a Christmas party and was wondering for those who are allergic to raw onions can something else be substituted like parsley ? Any suggestions will be appreciated. I sure my friends will rave over this as well. I think parsley is a great replacement here! Thank you Julia for your answer to my last question. I do have one more question for you. How far ahead can I make this and and how long will it keep in the refrigerator ? Thanks again in advance ! I’m so sorry Lisa, I called you Julia by mistake ! My faux pass ! Don’t pay any attention to those crabby appletons who complain about you writing about your life and family. I enjoy it very much. I truly love your recipes. I have recipes that I have made for 45 years and it is nice to have some new ones to try. Have a great day. This was amazing…..and I’m making it again for the next party this Saturday! Rolled mine in crumbled French fried onion rings because I didn’t have green onions and it was great. Thanks! I’m so glad you liked it! The French onions on there sound perfect! Yeah, I think that would great in this recipe! I haven’t tried it that way but it sounds delicious! How long can this be stored in the fridge? Can it be frozen? I would keep this in the fridge without the outside coating for two days, and then add the coating before serving. I would not freeze this. Hi lisa, everytimr I get notification I get excited at your recipe ???? thanks so much I would definitely try I on our family potluck Christmas dinner and serve it alongside my cheese board I’m sure it will be a hit esp.it’s a new addition to our appetizers. That imitation crab comes frozen in a bag, right,? Do I just thaw it and no need to cook? Also, have you tried using cheddar instead of mozz? Thanks and have a very Merry Christmas! Thank you so much Jay! I find the imitation crab in a package usually in the frozen seafood section. No need to cook it, just break it apart. You could also use canned real crab, just make sure that you check it for shell pieces. I haven’t tried it with cheddar cheese, but I think it would be delicious. Merry Christmas! Oh, I just £ove Cheeseballs, and am so thrilled to see that you have a few listed here! 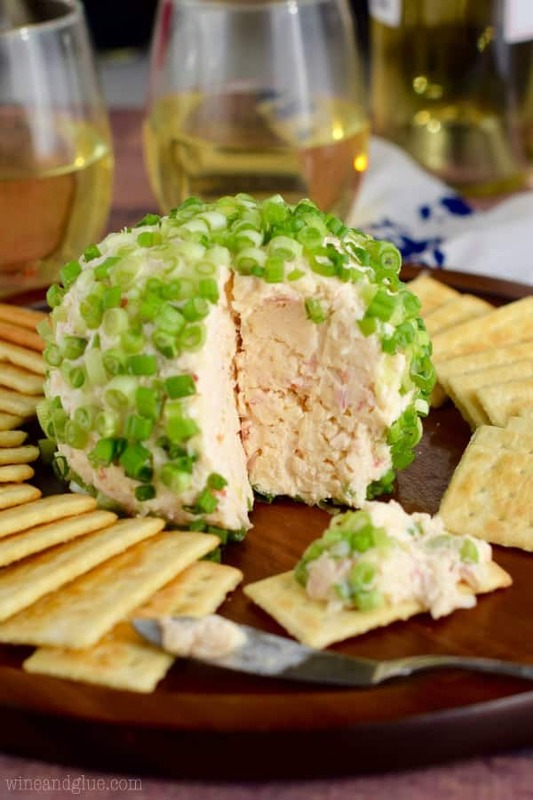 The wife of a partner where I used to work made a most wonderful cheeseball~ I think it was Mostly The BLUE Cheese That Made It So EXTRA Delicious (Yep, I??? ?THAT Stuff!). SO, to make a short story long~ I bet THIS Cheeseball would taste pretty Extra with some Blue Cheese in it, huh. Anyway, I’m going to continue to peruse your fabulous recipes and save them for my next cooking (Preparing) spree. Thanks… And Happy New Year! Happy New Year! I hope you love it!